Ferrero has made a big statement in embracing the crossover between retail and food & beverage. 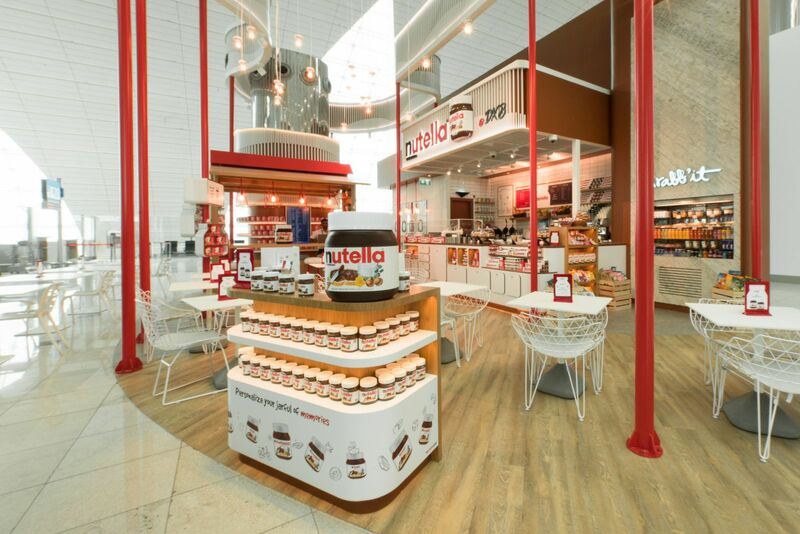 The company says that Nutella @DXB offers an “unparalleled brand experience” for travellers. While the renowned Italian confectionery house has charged HWH Investments with heading the execution and operation, it's no passive handover. Ferrero has been hands-on from the start and is insistent that the Nutella philosophy is nurtured and the brand’s impeccable standards are met. Here, Ferrero Gulf discusses the background to Nutella @DXB, the company’s aims and ambitions for the project, and the importance of airport food & beverage in communicating key messages. The Moodie Davitt Report: What drove the decision to open Nutella @DXB? Ferrero Gulf: The opening of Nutella @DXB gives us the opportunity to attract new consumers and further strengthen our relationship with our existing ones. The space gives customers the chance to immerse themselves in a world of optimism and positivity – two important values that are synonymous with the Nutella brand. Local travellers can enjoy a meal before their flight and transit travellers have the chance to ease themselves into a new time zone by starting their day with enthusiasm. Nutella @DXB: An opportunity to attract new consumers and further strengthen the brand's relationship with existing ones. Why Dubai International in particular? Dubai International is the world’s busiest international airport – it ranks number one in terms of traffic and serves as a powerful hub that connects people from around the world. In parallel, Nutella’s vision is rooted in a commitment to spread optimism and positive energy in families across the globe. The choice to open Nutella @DXB was therefore driven by common unifying values and objectives. "Our relationship with HWH Investments was born out of a shared set of beliefs." And what drew you to HWH Investments as a partner? 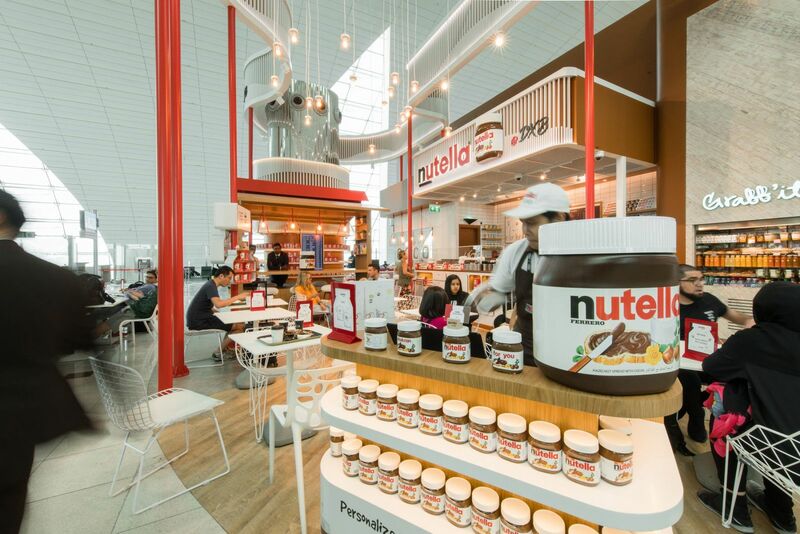 Finding a strong local partner – with vast experience and expertise in the airport F&B market – to launch Nutella @DXB was a key, pivotal factor for bringing Nutella @DXB to life. HWH Investments met these very criteria. In fact, our relationship with HWH Investments was born out of a shared set of beliefs. At Ferrero, our vision for success is rooted in two key driving forces: an unwavering focus on people and an unyielding dedication to quality. These are the strands of our company DNA. Similarly, HWH Investments is a powerhouse hospitality investment and management firm that is dedicated to creating and operating dynamic customer-focused high-quality dining experiences. We’re thrilled to be working with HWH Investments and have found in them a strong local partner with an aligned purpose. "The essence of the brand permeates every aspect of Nutella @DXB, from the design of the space and level of customer service to the quality of the ingredients used." How happy are you with the final execution? The final execution exceeds our expectations on every front. Nutella @DXB further cements Ferrero’s commitment to offering our consumers, based in the UAE and all over the world, a truly unparalleled brand experience. The essence of the brand permeates every aspect of Nutella @DXB, from the design of the space and level of customer service to the quality of the ingredients used across the options on offer. Ferrero’s role is to supervise the execution and ensure that Nutella’s guidelines, recipes and marketing communication strategy are rigorously followed and that the brand’s high quality standards are met. What are your ambitions for the HWH Investments partnership? The launch of Nutella @DXB is the beginning of a fruitful relationship with our trusted partner HWH Investments. Together, we look forward to exploring and evaluating possible future opportunities as they come our way. How demanding are you of your operational partners in such an alliance? Can you give us some examples? And how hands-on is Ferrero? Nutella @DXB is operated by HWH Investments so the executional and operational aspect is spearheaded by them. Ferrero’s role is to supervise the execution and ensure that Nutella’s guidelines, recipes and marketing communication strategy are being rigorously followed and that the brand’s high quality standards are being met. Airport shopping has long been a key channel for Ferrero in terms of both volume and as a brand showcase. But what’s the role of airport food & beverage to the company? Airport F&B is an important sector for us. Nutella @DXB enables us to create additional synergies between the Ferrero travel market and DXB – so we can communicate our key messages as ‘Ferrero One’. Sum up the Nutella @DXB opening for us. 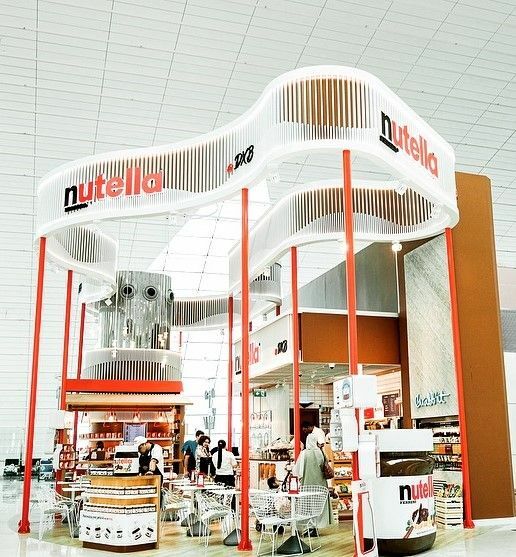 We would simply like to reiterate how thrilled we are to have partnered with HWH Investments to launch Nutella @DXB – which marks the first time globally that a Nutella point opens at an airport. The decision to open Nutella @DXB was driven by common unifying values and objectives.